2 Coats Essence Choose Me! I wish I could say that these pics are color accurate, but they're nawt. 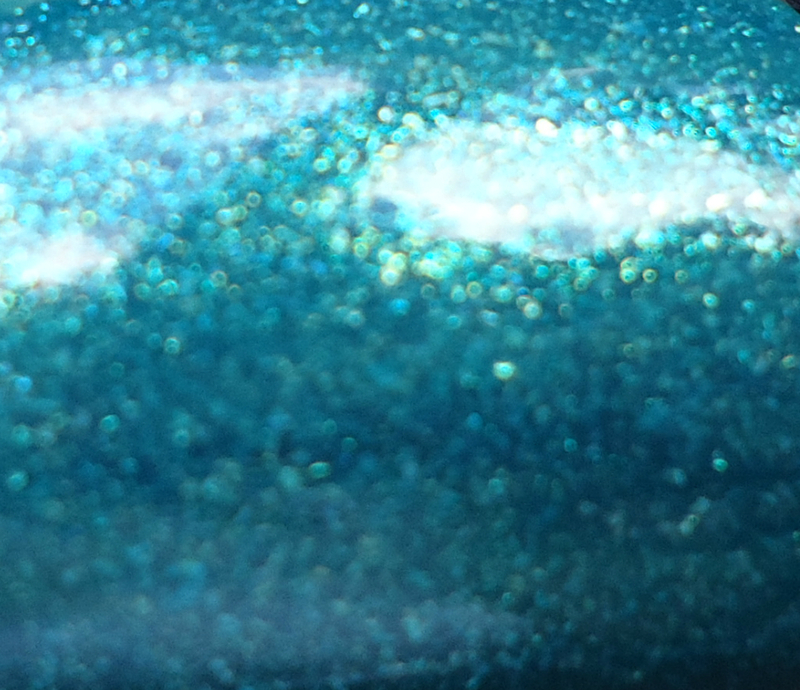 This is one of those shades that my camera likes to siphon the yellow out of, hence the turquoise-esque blue leaning appearance of this teal-in-real-life shade. My camera does blue, and does it well, dammit. I have the same problem with red-leaning purples! Camera issues aside, this is one bee-yoo-ti-ful manicure! If you've been looking for that Pantone of the Year shade Emerald... this layering is a shimmery take on that. I've used Lucky Duck before, but this is the first time I've used Choose Me! and I might need every other shade essence makes likerightnow. Essence polishes might be mini-sized and totally affordable, but they're not skimping on quality. The formula was great, application was easy, and the brush was pleasant to work with. I added a coat of L'Oreal Creme de Mint to tone down the shimmer and add a smidge more green into the mix. Would you wear Lucky Me?